Located in one of Cincinnati's most desirable neighborhoods, 49 Hundred features 266 magnificent one and two bedroom apartment homes with five-star finishes and amenities. 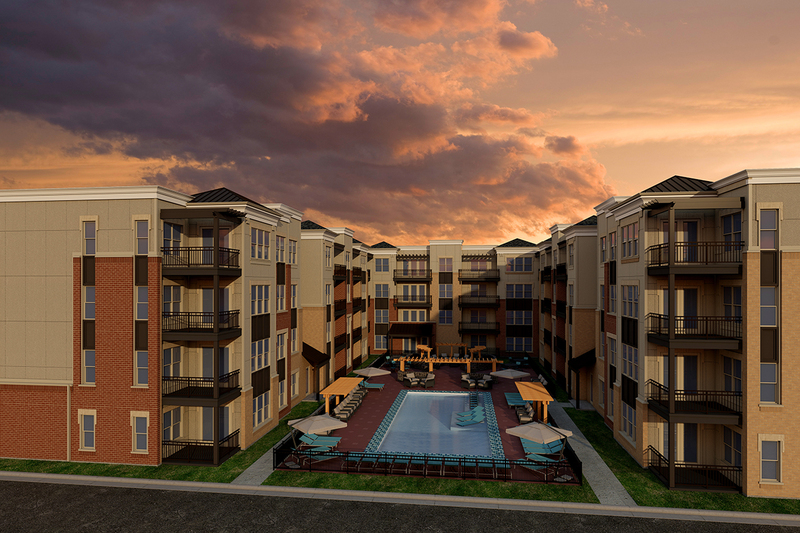 Phase II is currently under construction and will feature 20 new floor plans with expansive living space in the heart of walkable downtown Blue Ash just across from Towne Square with amphitheater and the beautiful Veterans Memorial Park. The apartments will feature 42" custom solid wood cabinetry, solid quartz counters, stainless steel appliances and wood grain floor options. The four story elevator building features underground parking and intercom access. Floor plans are open concept designs which provide for a multitude of living options. NOW PRE-LEASING Phase II. Call today to schedule your appointment to tour our lovely model apartments. 513-253-0479.